As previously reported, Dave Grohl has formed a new band called Sound City Players to support his forthcoming documentary about Sound City Studios. The initial announcement promised a lineup of “core musicians and special guests from the film,” which apparently meant everyone. Accompanying Grohl for the band’s January 18th live debut in Salt Lake City will be bandmates from both Nirvana (Krist Novoselic and Pat Smear) and Foo Fighters (Taylor Hawkins, Nate Mendel, and Chris Shiflett), John Fogerty, Fleetwood Mac’s Stevie Nicks, Rick Springfield, Alain Johannes, super producer Chris Goss, Cheap Trick guitarist Rick Nielsen, Fear lead singer Lee Ving, Rage Against the Machine drummer Brad Wilk, Slipknot’s Corey Taylor, and The Wallflowers’ Rami Jaffee. 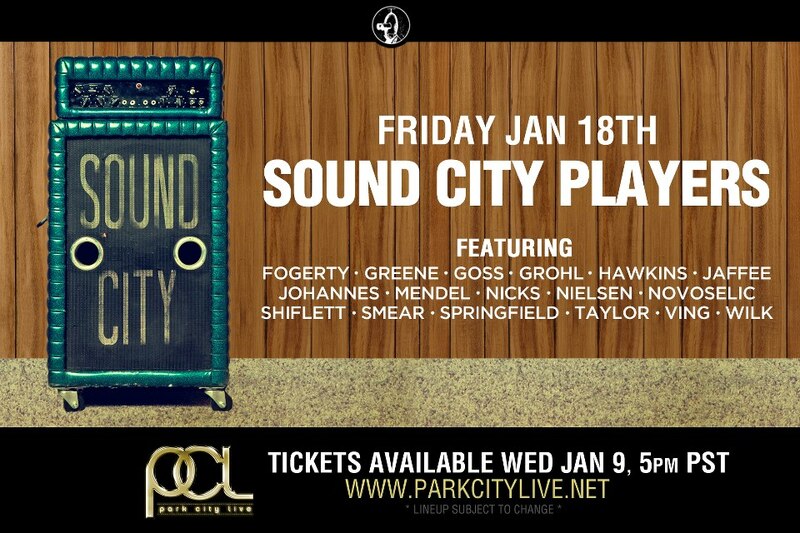 The concert takes place at Park City Live in conjunction with Sundance City Film Festival in Park City, Utah. Many of these musicians also appear on the Sound City soundtrack, due out March 12th via Grohls own Roswell Records; pre-orders are ongoing.